A WebUpdate is now available for your CRAL software. 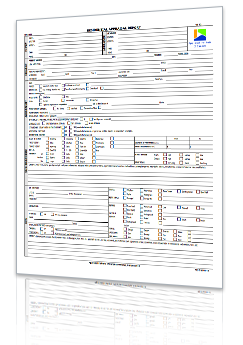 This update includes the new Solidifi AIC Full 0118 form. Solidifi made significant updates to the legacy form to mirror the new CUSPAP 2018 requirements. To maintain compliance, run CSA WebUpdate to retrieve the new form and report pak. In Report Pro™, click Help > CSA WebUpdate. If requested, enter the company password and click OK.
Click Go to download the updates. When updates are complete, click Exit to close WebUpdate. Running WebUpdate requires an active support contract. For more information call 800-234-8727 or email onecall@aciweb.com. Merry Christmas and Happy Holidays from everyone at ACI. 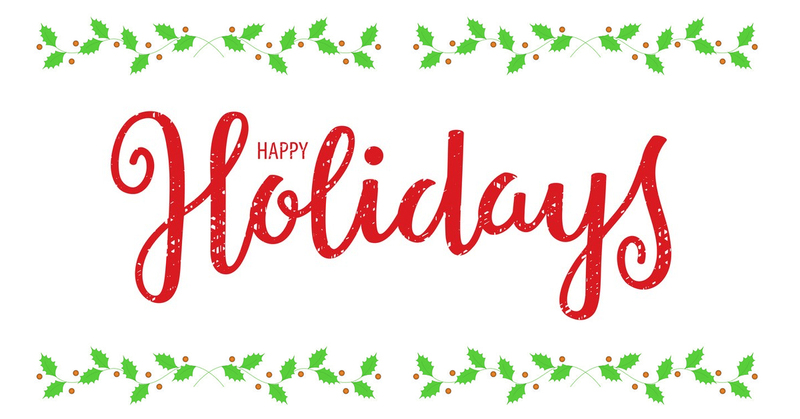 We hope your holidays will be filled with joy and laughter through the New Year. We’ll be observing the following schedule, so our staff can spend time with their families over the holiday season. As always, 24/7 customers will have access to our One Call team. The Appraisal Institute of Canada (AIC) recently announced the completion of CUSPAP 2018. As a result of this update, the AIC Full Residential Appraisal Form has also been updated. 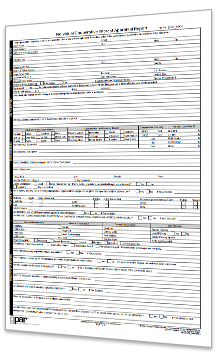 The new Full Residential Appraisal Form – 0118 will be available in Report Pro later this month, and mandatory for all AIC assignments beginning January 1, 2018. AIC issued this helpful document which outlines many of the form changes for your reference. The new form update will require an active support contract. An update notification will be issued when the form is available for general release. For more information call 800-234-8727 or email onecall@aciweb.com. ACI’s gPAR (General Purpose Appraisal Report) forms have been recognized as a great solution for non-lending assignments. We’re pleased to announce that a new series of gPAR’s are now available in ACI Report™. The 2017 forms include: gPAR Appraisal, gPAR Appraisal NCI, and gPAR Restricted SFR Full Grid. The new series includes the Weighted Value Calculator for determining the Indicated Value by Sales Comparison Approach. To launch the calculator, navigate to the Sales Comparison Approach field and click the worksheet icon. To add these new gPAR forms to your ACI software, just run WebUpdate. When you start a new file, select one of the gPAR 2017 report paks. As always, we’re here to help you, just email onecall@aciweb.com or call 800-234-8727 if you have any questions. Are you planning to take advantage of Black Friday and buy yourself a super computer? If you do, kick back and relax this holiday weekend and let our One Call team assist in moving your ACI files, templates and common responses so you won’t skip a beat after the Thanksgiving holiday. 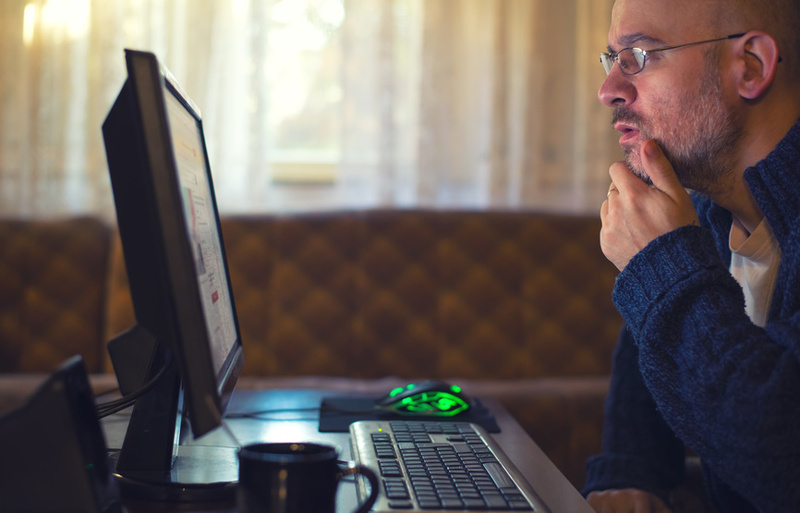 We’ll be sure your ACI software is properly installed and configured to your specifications. Just email the One Call team with a 30 minute window, Monday – Friday between 9am – 4pm ET. Once you send your desired appointment time a One Call tech will follow up with a confirmation. Due to severe weather related to the now-Category 4 Hurricane Irma, ACI is taking all necessary precautions to ensure the safety of our employees and continued service to our customers within our control. Our offices are located in Northern Florida, and will likely be impacted by the storm beginning early Monday morning. In preparation of Irma’s arrival, we will be closing our offices on Sunday and Monday so our employees can make the appropriate safety arrangements and adhere to any evacuation orders. As far as communications are concerned, you can reach us by phone at 800-234-8727 or via email at onecall@aciweb.com. An emergency group from the One Call team will have remote access during our regular business hours on Monday (7am-10pm ET) to provide you with limited support. Additionally, we will continue to give you the most up-to-date information on both Twitter and Facebook until our offices are fully operational. We created two new, “live” ACI Report webinars designed to teach you how to maximize report writing. The ACI forms are rich with features that will help you create appraisal reports with both speed and accuracy. In this FREE webinar, we’ll showcase features that combine the use of data integrations, templates and common responses that will save you time and will keep your default text and formatting consistent. Don’t miss this thirty minute class that provides you with a quick and easy way to lookup property data from prior reports. This feature, powered by ACI Research, will help you maintain consistency in your report writing. The side-by-side view allows you to see all prior records of the property and quickly identify any differences. As we develop new products for appraisers, compliance with industry standards is always front and center. Our objective is to help improve appraisal quality and provide efficiencies to the process. Everybody wins by connecting industry needs with appraisal reporting techniques through technology, industry guidance, and practical advice. This is ACI’s contribution to the industry – and we hope you find it informative and helpful. Enjoy. This is the second in a series of blogs on the topic of arm’s-length-transactions, or ALTs. If you have not read the first blog, click here. The theme of the previous blog is that most definitions of an ALT are consistent that the definition found in the current edition of The Appraisal Institute’s publication The Dictionary of Real Estate, which defines an ALT as “a transaction between unrelated parties who are each acting in his or her own best interest.” This definition provides the context for today’s blog. Note there is nothing in the definition above that references exposure time, listing in an MLS system, distress, duress, or market value. One explanation for at least some of the confusion regarding the term “arm’s-length transaction” is that some appraisers tend to equate ALTs with market value. This school of thought contends that the terms are mutually inclusive and that non-arm’s length transactions don’t take place at market value. This is simply not the case. Suppose an elderly man intended to sell his house and move into assisted living. His daughter wanted to buy the house and in fairness to the other family members, two appraisers were hired to appraise the property at market value. The selling price was based on an average of the two appraisal reports. In this case, the parties are related so the sale would not qualify as an ALT, but if the appraisers were competent, the transaction would be taking place at or near market value. A seller may choose to “test” the market with a list price above market value to “see what happens.” In an active market, this “test” may be rewarded and the property may sell at, or even above market value. On the other hand, the owners may price the home well under the market to assure it moves quickly even though they will net less than market value. Either way, if the buyer(s) and seller(s) are unrelated and each acting in what they think are their own best interests, the transactions are considered arm’s length even though they may be selling for more or less than market value. So while a non-arm’s length transaction may be a red flag that can point to an above or below market value transaction, the bottom line is that ALTs may or may not take place at market value. While you are free to apply the term “related parties” in whatever manner you choose, if you like the idea of having some support for your notions, you may consider restricting your application of the term to the situations in the bullet points above. Understand the concept of “related parties” as it applies to ALTs is driven by two issues. First, does one party have any level of meaningful control over the other? Second, do either of the parties have any interest in the transaction’s consequences on the other party? If the answer to both questions is “no” then by most definitions, the transaction is likely an ALT. This also applies to situations where the tenant is purchasing the property from the owner. Many appraisers feel that this constitutes a “relationship” but there is a difference between a “relationship” and “related parties,” at least within the context of an ALT. The issue of ALTs does speak to the importance of data verification. Proper data verification will identify non-arm’s length transactions, which may or may not take place under circumstances that align with the common definitions of market value. Consequently, non-arm’s length transactions are considered suspect in terms of their use as comparable sales and are rarely used as such. More good news on the ACI Sky front. The latest updates to ACI Sky include added functionality to the accounting module as well as a report “takeover” feature in the forms module. Below is a brief summary of these new enhancements. Stay tuned as we’ve got a lot more in the works! If you’re working with a team, or you prefer to have a million browser tabs open, we added a handy new feature that will allow you to take control of an open report. This takeover function protects your data from being overwritten by you or another user. Here’s how it works. Scenario: You have 4 appointments today, so you prep your Sky Reports with basic order information and hit the road. When you return to the office, you launch a new tab in your browser and attempt to open a report even though you already have that report open in another tab. Not to worry – ACI Sky will protect your data with a new prompt that notifies Sky to stop auto-saving the original file and continue working in the new tab. 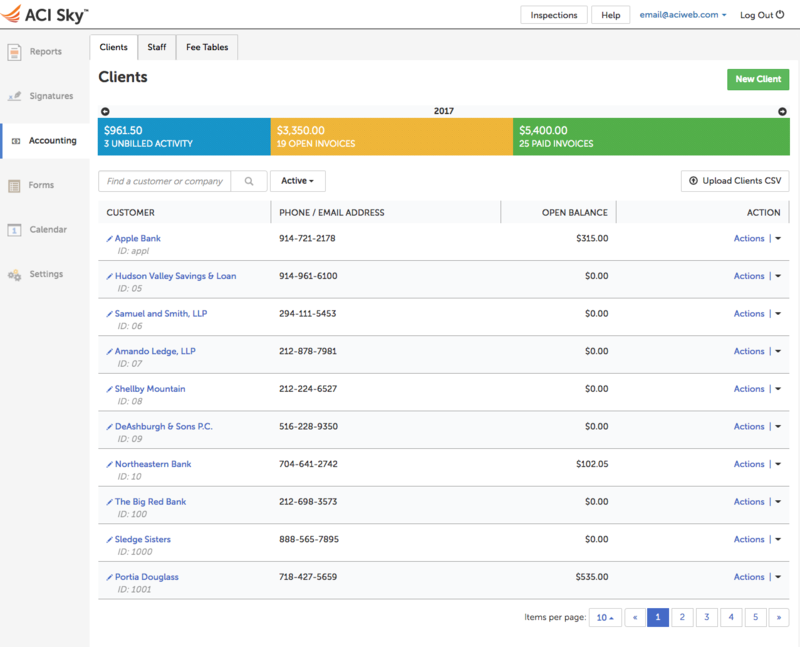 Sky’s new accounting module is clean and easy to use. ACI Sky includes the standard office management tools you’ll need to run your appraisal business. This current release provides the office manager with the ability to generate invoices, post payments, and manage accounts receivable in the cloud, from anywhere! The Accounting dashboard displays the current balance for orders with an amount due, delivered orders awaiting payment, and paid orders. Unpaid balances are listed per client name and code. Click the Actions drop-down to print invoices and post payments. The accounting section allows users to “Add” and “Edit” both clients and appraisers via the Clients and Staff tabs. You can add individual members by selecting the green “New Client” or “New Staff Member” button accordingly. A bulk upload option is also supported by importing a CSV file to the data table. Clients and Staff Members added to this section will be available when entering a new order for quick selection. For more information on using ACI Sky email onecall@aciweb.com or take one of our free online training classes. To get your own ACI Sky account today, call 800-234-8727.